For drivers of cars, these sound like nightmare sequences from amovie; change the mode of transport from car to bicycle, though,and they are everyday life. Small wonder that a consultant’s reporthas found Sydney residents are less likely to cycle to work thanthose in comparable cities in Australia or overseas. Cycling may behealthier, often faster and always better for the environment thancommuting by car, but in Sydney government neglect makes it toohard for most people to bother. Here 0.8 per cent of commuter trips are made by bicycle – thelowest share of any Australian capital. In Melbourne the share istwice that. Sydney’s hills are overstated as the problem.Multi-geared bicycles allow even relative novices to negotiate mosthills with little difficulty. 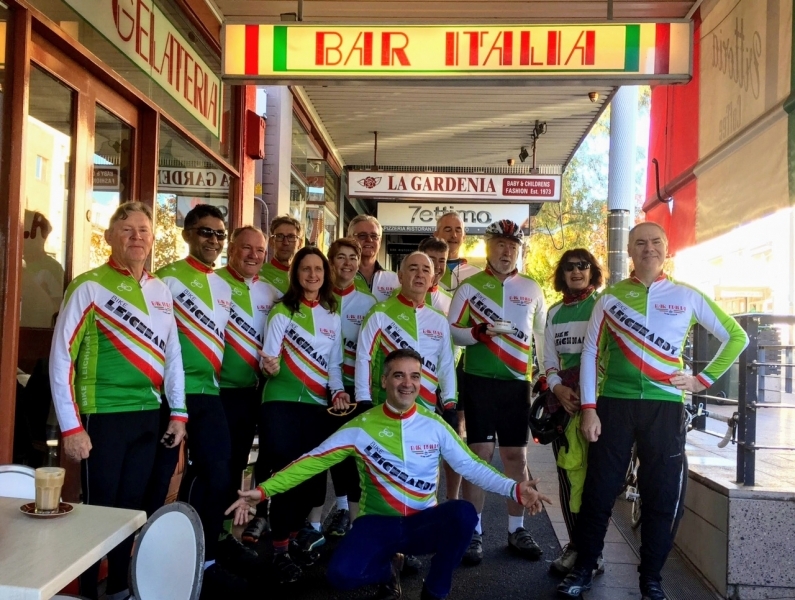 A focus group study for the City ofSydney council’s submission to Infrastructure Australia found onlyone in 10 non-cyclists gave hilly terrain as a reason for notcycling to work. Far greater deterrents cited were heavy traffic,the danger of riding along lines of parked cars, and the lack offacilities, including dedicated bicycle lanes, for cyclists. Tothose may be added the lack of a joined-up bicycle pathnetwork. Reacting to the consultant’s report, the Roads Minister, MichaelDaley, said the Government wanted to turn the commuting statisticaround and get people out on their bikes. Good, but that willrequire political support and – especially – money, which hithertohas been denied cyclists. In the $2.2 billion capital expenditure budget for the Roads andTraffic Authority this financial year, 0.8 per cent would represent$17.6 million – yet the budget only provides $6.7 millionspecifically for cycling. Most roads, of course, should be sharedby cars and bicycles – although the aggression Australian driversshow towards cyclists casts doubt on that proposition at times. Buthigh-traffic areas such as city centres are different. There,special provision needs to be made for cyclists. And drivers shouldnot resent resources diverted to cycling. More cyclists should meanfewer cars and less traffic. WE KNOW Sydney has cycleways because the many bicycle symbolssprayed on roads tell us so. Some even have destinations marked ona miniature version of highway signs. That might suggest that theyare part of a network – but that, unfortunately, is an illusion.The Roads and Traffic Authority publishes several maps of Sydney’scycling routes. One glance shows a major problem: they don’t linkup. They just end. If main roads petered out this way, turning intofootpaths at the base of a tree, or stopping in bushland, motoristsand their vociferous lobbyists would be up in arms. Cyclists areanother matter. 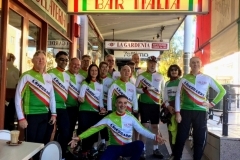 With some honourable exceptions, the present Cityof Sydney council among them, relevant authorities tend tomarginalise cycling, and with it a legitimate transport optionwhich is attracting a growing number of commuters. The RTA’s maps show cycling routes which are more akin to tracksfor ramblers than main transport routes. That is why they canmeander beside rivers, or cross them on bridges with many steps,like the one at Thackeray Street, Camellia – or the Sydney HarbourBridge. There is a reason: cycling is still seen in parts of theroads bureaucracy, and in some local councils, as mainly forleisure, not transport. Motoring may have been like this once, butno one drives for fun now. Traffic, pollution, tolls and road ragemake our roads serious places indeed. Cyclists, however, can stillride and enjoy it. That simple difference seems to have produced anugly clash of outlook which bedevils transport politics. For many motorists, cyclists are just a nuisance: people who payno registration, demand to be taken seriously as road users, butride (for obvious reasons) slowly enough to hold up traffic andflout road rules as basic as stopping at red lights. Anger andfrustration can turn motorists into bullies – and dangerous ones atthat. Cyclists, often enough, use genuine claims – cycling’senvironmental and health benefits – as the basis for an aggressiveself-righteousness which does little for their cause. Empathy is inshort supply on either side. Any slight elicits a destructivecombination of defensiveness and aggression. The State Government has said it wants to encourage cycling.That is good. If cycling is to live up to its obvious potential asa commuter transport option much will have to change. In particularthe divide between riders and drivers, which only perpetuatesSydney’s pointless anti-bike culture, has to go. THE smallest slip can do it – a cyclist zipping between two carsto reach the front of the traffic queue receives a blaring horn inresponse, followed by an exchange of rude gestures. As the number of bike trips in the city each day heads towards200,000, cyclists and motorists are increasingly being involved infiery exchanges. While governments across the country have begun educationcampaigns, NSW is without a comprehensive awareness raisingprogram. The result, says Chris Rissel, an associate professor at theSchool of Public Health at the University of Sydney, is a seriouslack of road etiquette. He found that an alarming number of motorists did not know someof the basic road rules relating to cyclists, such as when cyclistshad right of way. “Thirty-seven per cent of motorists didn’t know that cyclistswere entitled to use a whole lane, and 69 per cent didn’t know theywere allowed to overtake on the left of cars,” Professor Risselsaid. The City of Sydney has included an education campaign as part ofits plan to build a network of cycleways through the innercity.